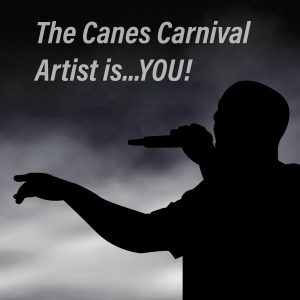 On the third Friday of every month, the Student Activities Center (SAC) becomes the home for Canes After Dark (CAD), a late-night programming event created by Canes Night Live to offer students an alternative to their otherwise routine weekend plans. But for those in charge, the magic begins at the beginning of the academic year. Past CAD’s have included themes such as “Harry Potter,” “Blast to the Past: 90’s Night,” and a “Winter Wonderland.” During these nights, students get a chance to participate in activities related to the theme. Past activities have included tie-dye, a haunted house and mini golf. To put this all together, Kathy Andrade was hired specifically to be the adviser for late night programming at the University of Miami. For the committee in charge of CAD, it begins with brainstorming ideas that sound interesting for college students. Then, they plan out the decorations, food and activities for each theme. 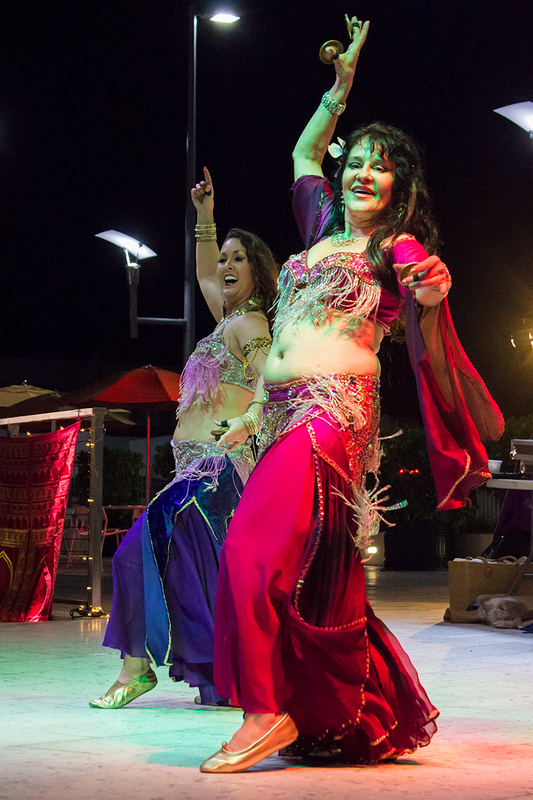 Friday’s “A Whole New World” will feature activities such as belly dancing, a snake charmer and henna tattoos. Though Renfro and his committee do much of their planning ahead of time, they are also running around the day of to make sure everything is perfect. After CAD’s successful fall semester, expectations remain high for the upcoming events. “We really are trying to use as much of the SAC that we can to take advantage of the space and make Canes After Dark the best that it could be,” Andrade said. Students who regularly come to the Friday night events have noticed the attention to detail that is given to all three floors of the SAC. Other students, like junior Matias Stanham, have noticed that although the large student turnout results in long lines, the event is still a success. “Even if the lines are long, they pass by pretty quick and everyone does get a chance to do every single activity they have to offer,” Stanham said. 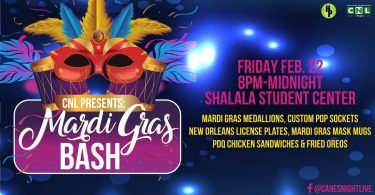 From 8 p.m. to midnight on Friday, the SAC Patio will be transformed into a Mediterranean themed “A Whole New World” night. By the next day, the CAD committee will already be looking toward their next event.